San Antonio, TX — Congressmen Henry Cuellar (D-TX-28) and Lamar Smith (R-TX-21), along with University of the Incarnate Word President (UIW) Dr. Lou Agnese, announced today that the Economic Development Administration (EDA) has awarded the University of the Incarnate Word a $1 million federal grant for specialized optometric equipment to be used at the new UIW Eye Care and Health Institute in San Antonio’s Eastside. “With just one private optometrist available to serve the Eastside of San Antonio, this clinic will not only provide necessary medical treatment to San Antonians, it will also give an opportunity for students to complete their medical practice requirements. 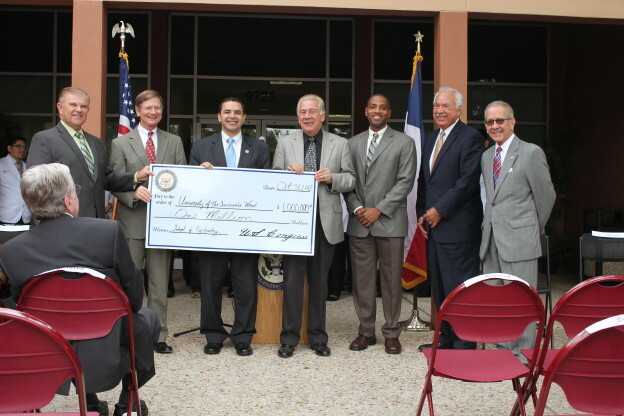 The grant is helping to alleviate eleven percent of the total project cost – bringing taxpayer dollars back home for a project that is centered on serving the community,” said Congressman Cuellar. This public facility will increase access to health care for residents of the inner city by providing professional eye care services to the community. UIW will construct a three-story, 30,000 square-foot clinic that will serve 25,000 patients yearly. When fully operational, the clinic will create and sustain an estimated 40 to 50 new jobs. Patients will be served by licensed eye care doctors and interns from UIW’s Rosenberg School of Optometry. In addition, UIW will partner with St. Philip’s College to assist in training students and increasing the number of nearby residents qualified to serve as ophthalmic technicians. Future doctors will also be able to train at the clinic and an estimated one-fourth of the 65 graduates yearly will remain in the area to practice. Rep. Lamar Smith, House Judiciary Comm. The University of the Incarnate Word Rosenberg School of Optometry (UIWRSO) is pleased to announce that Dr. Narges Kasraie has been certified as a Diplomate of the American Board of Optometry. 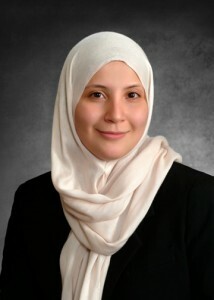 Kasraie is an assistant professor at UIW’s Rosenberg School of Optometry. She provides patient care as an attending optometrist at the UIW Eye and Vision Care Clinic and also teaches lectures and laboratories in various optometric fields. Kasraie earned her Doctor of Optometry degree from Southern College of Optometry and also completed her Residency in primary care optometry at Veterans Affairs Hospital in Memphis, Tenn.
“As a member of the UIW community I am so proud to be the first doctor at UIWRSO to become a Diplomate of the American Board of Optometry. The board certification process is meant to enable optometrists to stay current with the most recent changes in the profession enabling us to continue to provide an excellent quality care to our patients and education to our interns at UIWRSO,” said Kasraie. Board certification is a rigorous process including graduation from a school or college of Optometry accredited by the Accreditation Council on Optometric Education, having an active license to practice therapeutic optometry in a state, District of Columbia, U.S. commonwealth or territory, and adherence to principles of the Optometric Oath. Additionally, the process involves the completion of the exam application requirements, which include the completion of 150 points of post-graduate requirements and evidence of three years of active licensure and clinical practice or completion of an ACOE-Approved Residency. The UIW Rosenberg School of Optometry matriculated its first class in 2009 after receiving approval by the Accreditation Council on Optometric Education of the American Optometric Association. The UIW School of Optometry is the only faith-based school of optometry in the U.S. Optometrists provide comprehensive eye and vision care which includes refraction and dispensing, detection, diagnosis, management and rehabilitation of the conditions of the visual system. The University of the Incarnate Word has started the Interprofessional Education and Collaborative Practice (IPECP) this semester, and I am part of the first group of health professional students to participate in it. There are a total of twenty UIW student volunteers that make up five groups. Each group has one optometry student, one nursing student, one pharmacy student, one health administrative student, and one facilitator (faculty member). 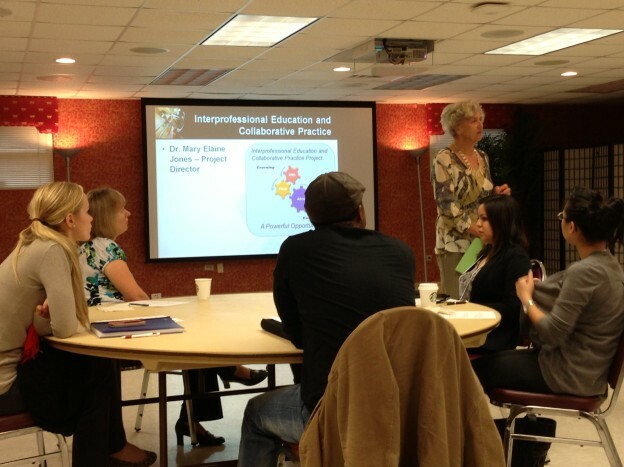 IPECP is a two-semester learning experience. This fall, students will learn about the competencies necessary to be a knowledgeable team member, including the values and ethics that undergrid the practice of each health profession, how roles and responsibilities differ across professions, what it means to be a team member, and the factors influencing effective, respectful communication that are integral to effective team functioning. Next spring, students will provide care to patients in a primary care health center and learn that health professionals are in partnership with patients and share decision-making about care. We will gain first-hand understanding about local healthcare needs and put into practice collaborative team-based care. I am excited to be a part of this inaugural group, and I know that my experience with IPECP will make me a great clinician in the future. Optometry school has provided me with numerous experiences in classes and organizations that I have been looking forward to since deciding upon Optometry. Some of these experiences are those that tie into the political, technological,healthcare, or business aspects of Optometry just to name a few. The advantage of many of these events are that they are offered as weekend seminars and are designed as Continuing Education (CE) courses for already practicing Optometrists. I consider this advantageous because, as an optometry student, it is a great benefit to be able to network with doctors that are already out practicing and know what you have been through as well as communicating much of the reward that lies on the other side of graduation. This also gives you the opportunity to ask what obstacles they may face with their practices or state laws to help you determine what the best mode of practice would be, where it is best to practice, and even if a residency is the right thing for you to pursue, etc. Enough about how it’s a great opportunity to attend all these events and on with this iProfit seminar ….. This summer I attended a weekend seminar sponsored by the Texas Optometric Association (TOA) that encompassed different areas of Optometry that can help with business growth in a new era controlled by technology and social media. It also aimed at how to better the patients’ experience and make you a more reputable doctor. The weekend was broken up into mini courses, breakout discussions, and lunches designed to offer an array of different topics, and speakers that are very successful in Optometry and business. This all sounds like it would be fun (especially on a weekend during my first summer off–why not sit through more classes), but maybe when I’m a practicing Optometrist this would be more suiting. So, “why do I need this exposure during school” you may ask? I feel that the sooner you can start to think like a business minded optometrist, the sooner that allows you to realize how all of the healthcare and other services you will be providing are actually going to provide for you and your family later in life. It gives you a perspective to start looking through, since many students would like to own their own practice. Let’s face it, we have enough on our plate learning everything we need to know to be a great Optometrist but we could always use a little more of the business background. Especially by Optometrists that are so successful in it that they are sharing it with others to help them succeed in order to build Optometry nationally. The information contained in this weekend was very helpful to start thinking about at such an early point in my education, however, networking with different doctors was just as beneficial. Though it was through the TOA, there were doctors from all over the country that came to listen to these speakers. This was my first experience networking with a large number of Optometrists and it was a lot of fun for myself and the other students there, but it was also important to hear the advice and opinions from different doctors in response to questions we asked them throughout the weekend. 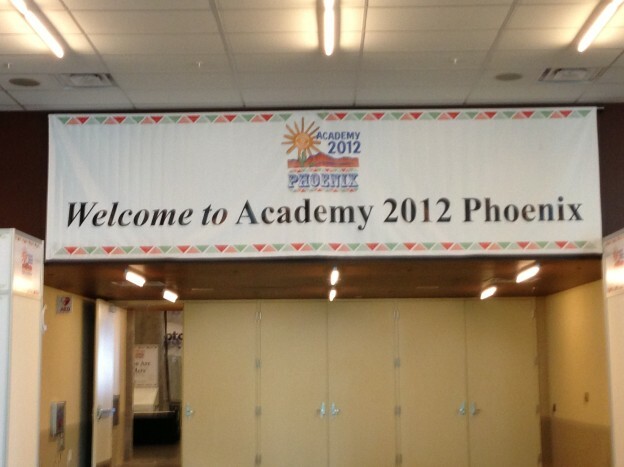 The take-away point … is to be more than a student during Optometry school. Get involved and start making Optometry YOUR profession and YOUR future!